For today's post I will be coming at you with a gift guide. If you're like me, the 13th is not 'leaving it a little late', and actually is about the time to start thinking about what you will gift people. Organised from stocking fillers to pricey presents, the list below is ideal for girls and women of a range of different ages! 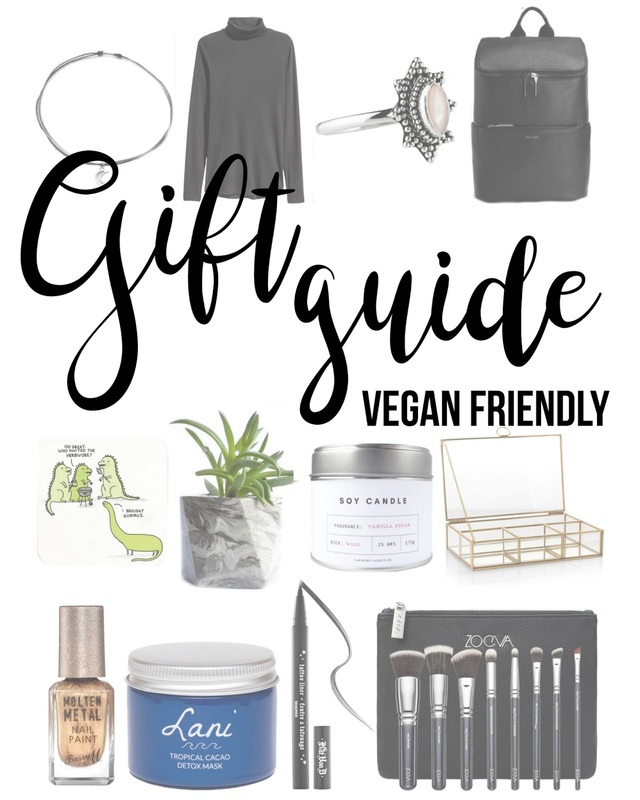 All the items below are suitable for a vegan and cruelty-free lifestyle, and I have tried v. hard to find everything from sustainable and ethical sources (i.e. small businesses). Hopefully the above has inspired you! Let me know if you found it helpful or if you'd like a little more information on what to get/to avoid when buying for vegan and cruelty-free pals.